We are obsessing over bold hues and this knit dress is perfect for the new season. 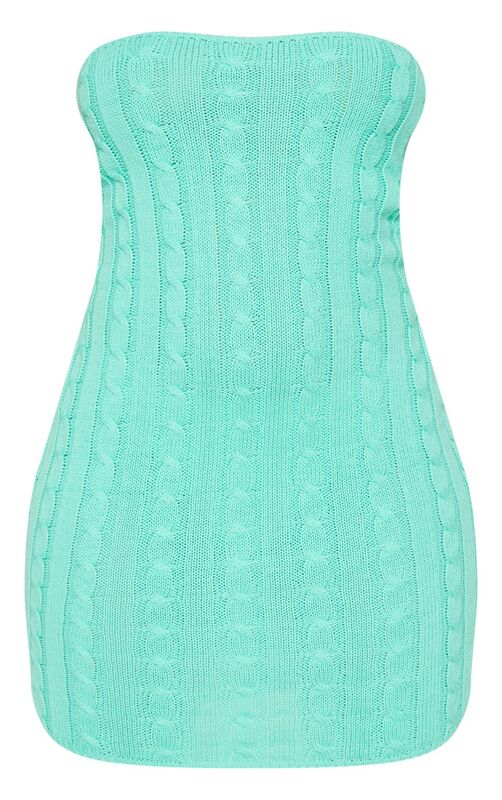 Featuring a green cable knit material with a bandeau neckline and a figure-skimming fit. Team this with fresh kicks and a belt bag to complete the look.